This system is for basic budget laboratories that need the high performance and reliability of the Agilent HPLC systems at an affordable price with a basic configuration and a flexibility to customize columns according to application. The standard configuration we provide is suitable to different applications especially the pharmaceutical industry. As it enables pharma labs to efficiently carry out the drugs analysis with a reliable, durable, and trouble free Agilent HPLC system. The Agilent 1200 HPLC system configuration for this setup includes: binary pump, degasser, injector, DAD detector, column oven, and your choice of Agilent HPLC columns. In addition to desktop PC with the world renowned Chemstation software pre-installed. For laboratories that require the flexibility of modular systems and the efficiency of automation, this system allows flexibility in the choice of pump, detector, autosampler, and other different components of the system. This system is well suited to high-end pharma laboratories, research institutes, commercial laboratories, and more. 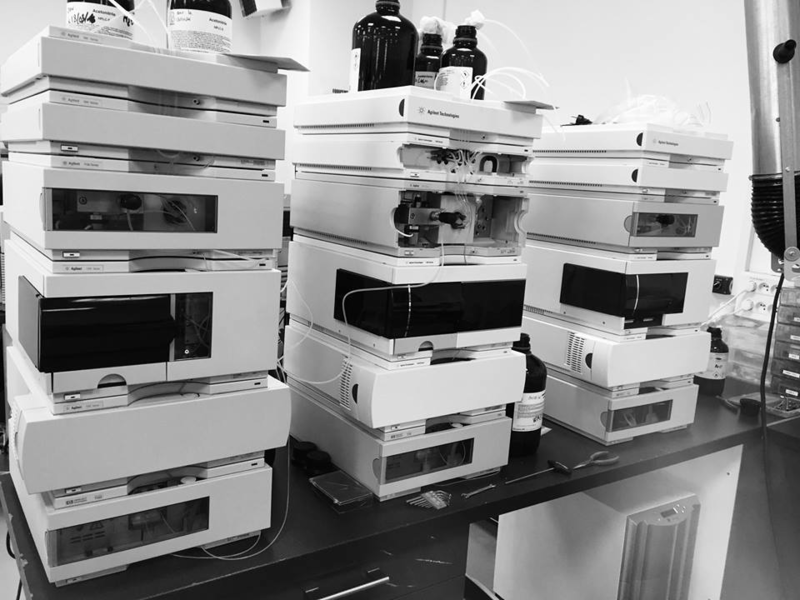 The Agilent 1200 HPLC System configuration for this setup includes: binary or quatenary pump, degasser, thermostat autosampler or any other type of sampler, DAD detector or any other detector of your choice, column oven, and your choice of Agilent HPLC columns. In addition to desktop PC with the world renowned Chemstation software pre-installed. Standard Economy Agilent 1260 UHPLC System (refurbished with quality certificates and 12 month warranty): This system is suited for laboratory analysts seeking the highest performance of liquid chromatography at a budget price containing the basic configuration. Reach pressures up to 600 bar with a flow rate of up to 5 ml/min which allows the use of almost any column – conventional, sub-2 µm-particle or superficially porous columns. The Agilent 1260 System configuration contained in this setup: binary pump, degasser, injector, DAD detector, column oven, and your choice of Agilent HPLC columns. In addition to desktop PC with the world renowned Chemstation software pre-installed. 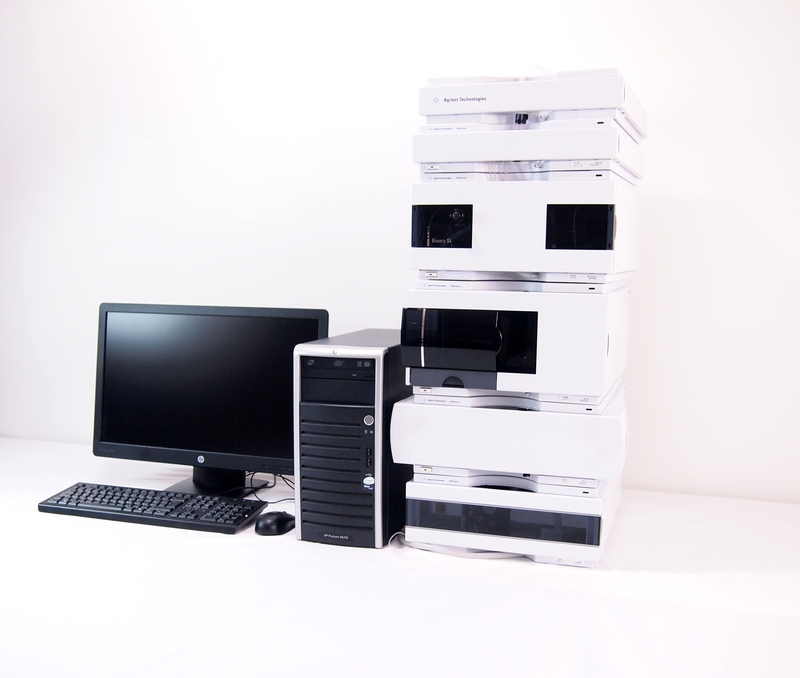 Modular Automated Agilent 1260 UHPLC System (refurbished with quality certificates and 12 month warranty): For ease of operation, and flexibility of analysis, this system is modeled to allow the analyst to configure the different components of the system according to need, all by acheiving the highest pressures with full automated operation. 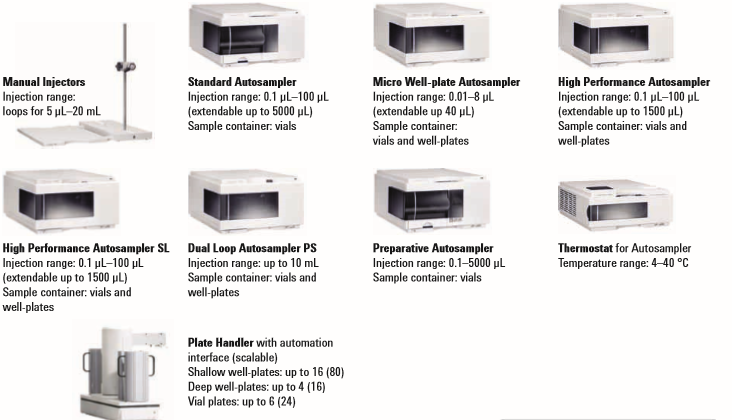 The Agilent 1260 HPLC System configuration for this setup includes: binary or quatenary pump, degasser, thermostat autosampler or any other type of sampler, DAD detector or any other detector of your choice, column oven, and your choice of Agilent HPLC columns. In addition to desktop PC with the world renowned Chemstation software pre-installed. All our systems are highly refurbished with quality test certificate and IQ/OQ documentation available.